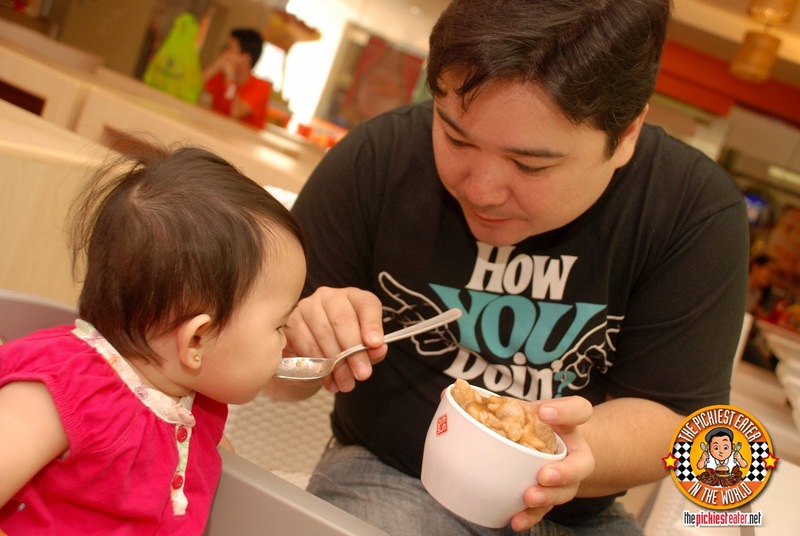 THE PICKIEST EATER IN THE WORLD: DIMSUM BREAK NOW OPEN AT SM NORTH EDSA ANNEX! DIMSUM BREAK NOW OPEN AT SM NORTH EDSA ANNEX! If you haven't read my post about one of my all time favorite restaurants.. Cebu's "Harbor City", I suggest you do first. That way, it might be easier for you to grasp just how deep my love for their dimsum goes. 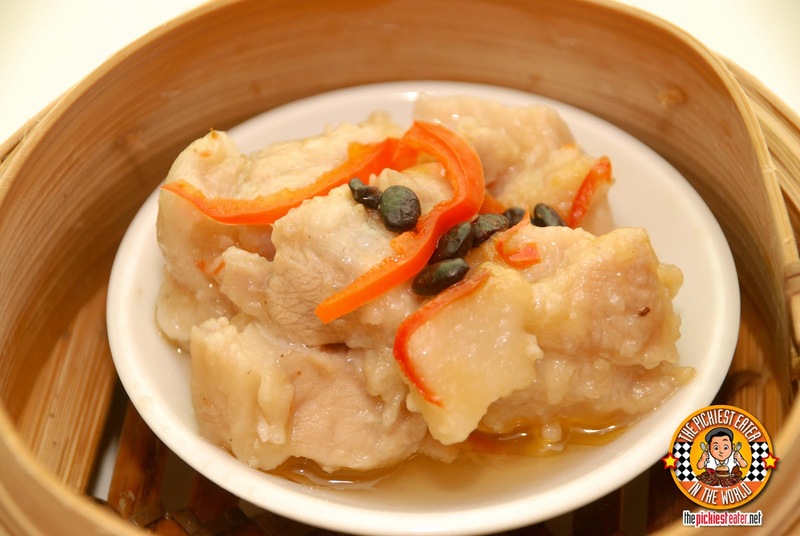 Regardless of their incarnation, whether they were called "Ding How", "Ding Qua Qua", "Harbor City", and the most recent, "Dimsum Break", their Sweet and Sour Pork and Steamed Rice has been a staple in my diet since I was a child. When a fresh graduate of High School from Cebu leaves for Manila, one would think that he would miss his friends most. Call me a horrible friend, but forget them.. Leaving Harbor City's Sweet & Sour behind was one of the most heart wrenching experiences of my life. I always had a dream that someday, we would all live in peace and harmony.. And that Sweet & Sour pork that I grew up with would be easily accessible to me. 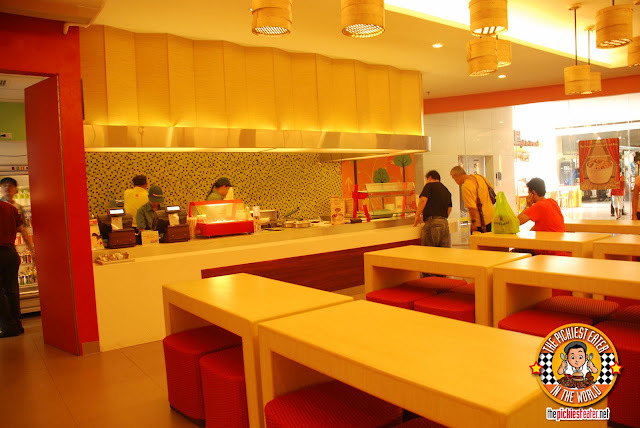 On September 29, 2012, Dimsum Break opened their first branch in Manila, at SM North Edsa Annex. My friend Weewee had told me a couple of months ago that Dimsum Break would be opening in October, so I had kept an eye out for it. I was pleasantly surprised I was when he called me up on the day before the official opening of the restaurant, inviting me to feast on some of their legendary Dimsum for free. Since it was a Payday Friday, and I work in Makati, I knew I couldn't make the trek to Quezon City in time. So you can imagine how it tore my heart out its cavity to have to decline the invitation. However I swore I would go there the first weekend that it opened. 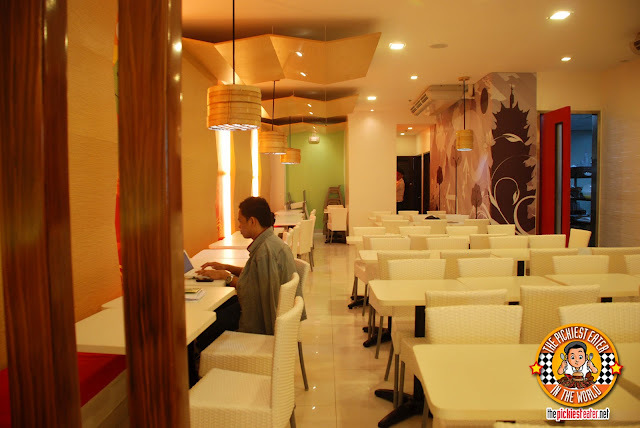 Come to think of it, this marks the first time I'm posting about a restaurant the same day, I've eaten in it (hehe). The "Dimsum Break" incarnation of the beloved Dimsum restaurants is more like a fast food version of its legendary predecessors. 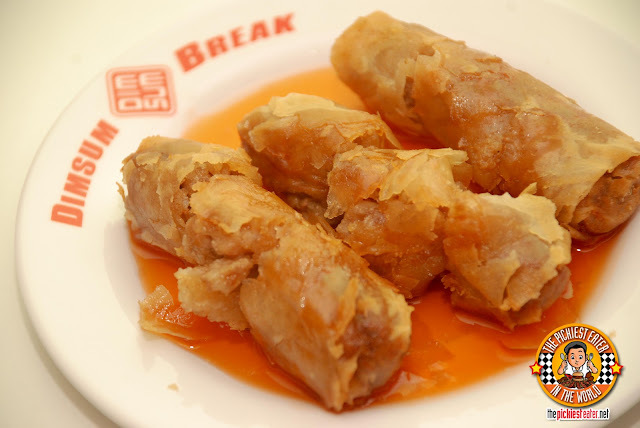 If the older restaurants had a legacy of "dimsum carts" roaming around the restaurants, offering their customers some steaming hot Quail Egg Siomai or Deep fried Spring rolls, Dimsum Break is more cafeteria style, where you fall in line and point out what you want from their glass case. If there are items on the menu that aren't in the display case, you have the option to wait for them to deliver it to your table. Given that I was their first customer on the second day of their operations, I'm giving them a bit of a pass on their service, which wasn't terrible, but the staff had a bit of their confused moments.. Nothing really horrible, especially for a newly opened restaurant. I gotta commend the staff though, because you could tell they were giving their 110%. The problem I found with ordering is that the place doesn't have a signboard where you can see the items on the menu with the prices. A menu is passed around while you're standing in line, and even then, prices aren't listed on it (Don't worry.. I don't think there's anything on the menu over P100 bucks). My cousin Paolo, whom I introduced to Ding How when we were in the 7th grade (That was around 1989 or something), scrapped any Sunday plans he may have had just to make sure he went with Rina and I when we visited. Though I was dying to get my hands on their famous Steamed Fried Rice, I saw in their menu that they had a "Beef Steak Fried Rice" ( that intrigued me. 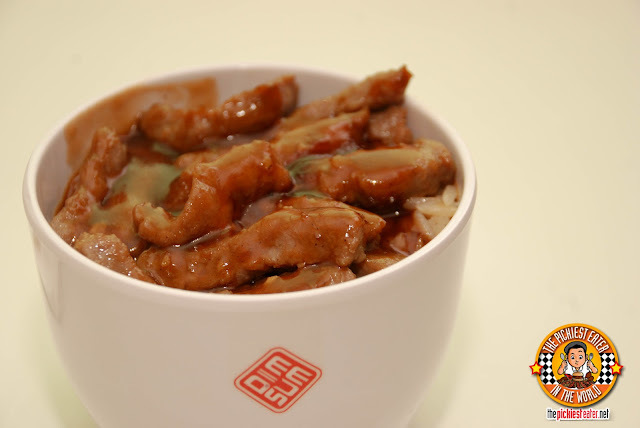 It was actually a Chinese Beef Steak, with generous cuts of slice beef, top on a bowl of rice. The sauce was a little sweet, and reminded me a bit of XO sauce, although much milder. By the time I had a few scoops, my taste buds were calling me a traitor. This was alright, but nothing beats the real thing. The Steamed Fried Rice (P68) is the foundation of Dimsum Break's Legacy. 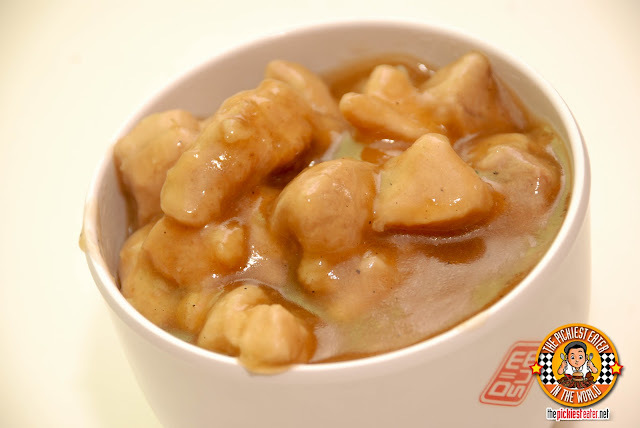 Delicious chunks of pork mixed into a thick, savory sauce that-despite the fact that you'll be eating a whole bunch of flavors, will be the dish you will go back for time and time again. Bacon Siomai (P65). Just saying its name brings tears to my eyes. And Yes, It tastes as awesome as it sounds. Paolo was adamant about ordering the Garlic Fried Pork.. And I'm glad he did. Deep Fried Pork crusted in some sort of a garlicky batter that made the flavor of the meat just pop. As expected, Rina ordered the Spareribs in Tausi (P65). It was cutlets of Pork rib, steamed in a delicious bath of oils and spices, and topped of with black bean for some extra flavor. This version had a bit more chili than I remembered, giving it a spicier kick. The Spring rolls (P65) was cooked to a nice crisp, and the sweet and sour sauce it was drowned in was the perfect complement. 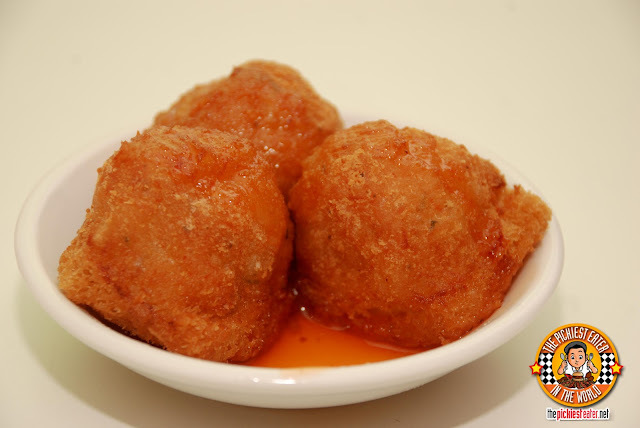 I've always said, that Shrimp Toast (P65) is one of the very few shrimp dishes that I eat.. But that is mainly attributed to it being more of ground shrimp, and I enjoy the deep fried bread crust. But I do need to warn you all.. It is a bit oily (It's deep fried bread, what did you expect?). 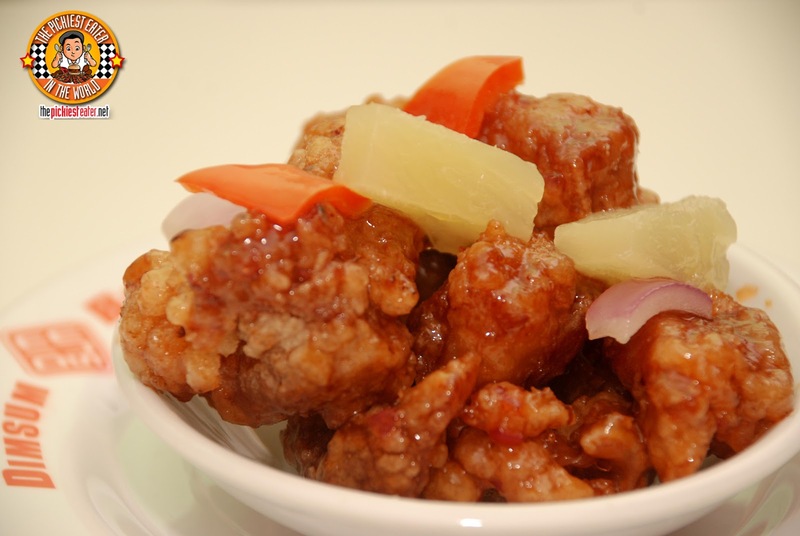 The number one thing that I go whenever I go to any of the Harbor City/Dimsum Break restaurants, is the Sweet and Sour Pork (P65). It is one of my favorite Sweet and Sour Dishes, EVER. 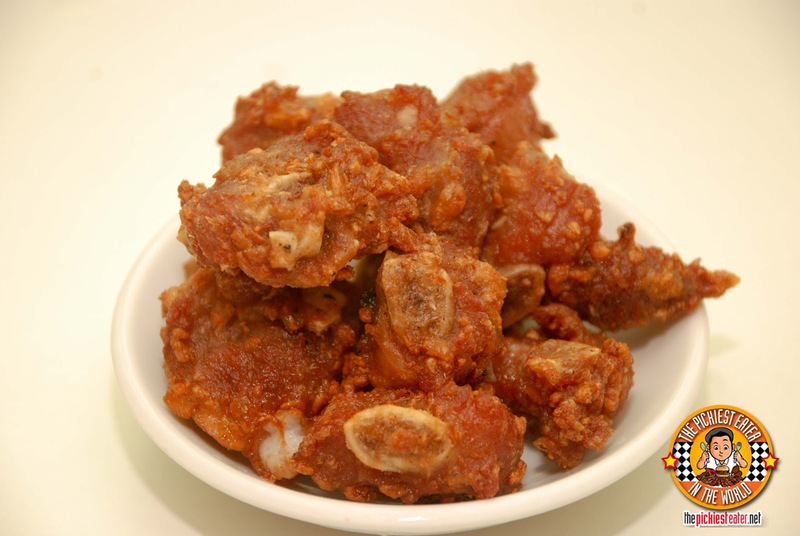 It deep fried to a beautiful golden crisp, and instead of the meat swimming in sauce, this variation instead has the beautiful cuts of pork glistening in its sweet and sour glaze. This is the perfect partner for the Steamed Fried Rice. 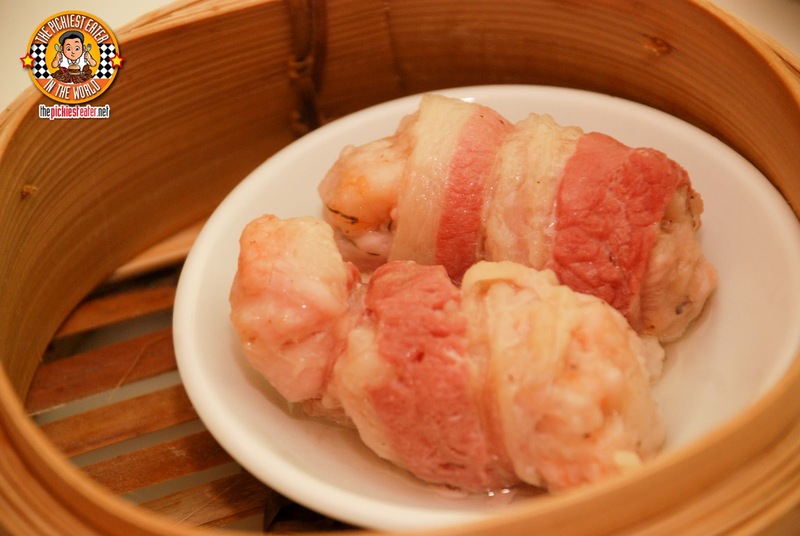 This is what you MUST order when you go to Dimsum Break. And THIS is the dish that I BADLY wanted to be brought to Manila. After wishing for the chance to be able to enjoy the yummy goodness of Dimsum Break's Sweet and Sour for so long, holding the plate of Sweet & Sour in my hands was a very emotional moment for me. Thankfully, my Cousin Paolo was there to help me get through it. 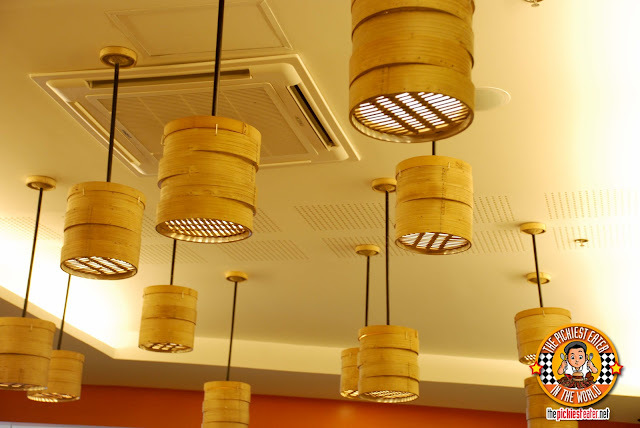 The Dimsum Steamer Basket lamps were pure genius! her first taste of Steamed Fried Rice. Yep, she's my daughter all right. 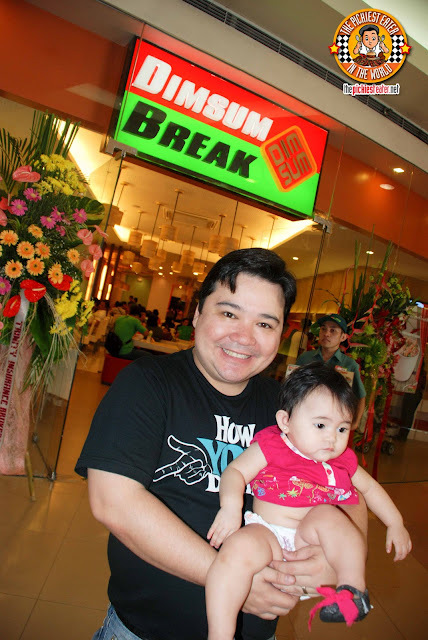 Baby Rain, Rina, Paolo, Jona and I enjoyed what would be the first first trip to Dimsum Break in Manila! I hope they keep the Steamed Fried rice and Sweet & Sour coming, because I'm going to be heading back to QC for more!!! Arghhh!! I can't wait to go to there and have my favorite steamed rice. 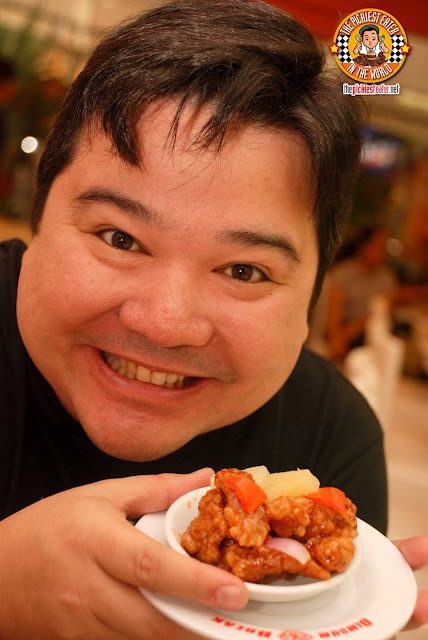 I can eat 3 of those and them siomai with quail eggs! Huhu, I am already being emotional upon reading this post. I've been waiting so long for Dimsum Break to invade Manila, my prayers have been heard! I hope they open a branch around Makati! Megamall branch please! 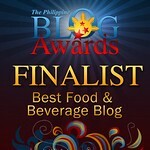 I want to try the Bacon Siomai! WAAAA. It's worth the trip to SM North! OMG I should try this ASAP!! That bacon siomai's calling me! hahahah! I know they have noodles bro, but I dunno if they have the crispy one! I hope they do because I'd love to give it a try as well! Steamed Fried Rice! Yes! Will always come back for more of this anytime. I wish they'd have a branch nearer Cubao or Makati soon though. I don't remember the "newer" names of the store, but as long as I hear "Ding How" I know this has got to be the place to visit. I remember those days in Cebu, decades ago. And if the taste here in Manila is the same as the one during the "older" days of Ding How, I won't need to visit Cebu that often (except to buy danggit, pusit, rosquillos, otap). Thats exactly how I feel, Patrick! haha! I included Ding How/Harbor City as one of Cebu's Tourist attractions! Glad to hear you enjoyed, Mommy Marie! Affordable price, I love it. I'll be first in line if that happens. But Unlimited Dimsum is a GREAT idea!! 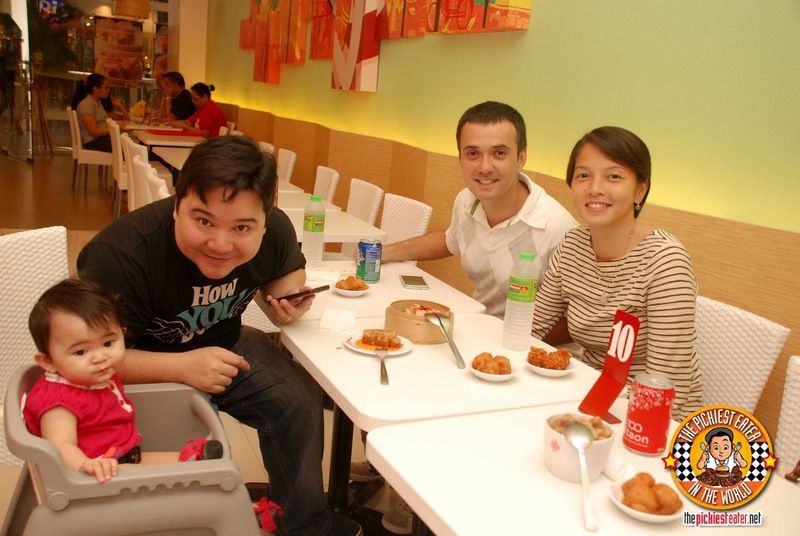 Everytime I go to Cebu, I never fail to eat at Dimsum Break! OMG, the long wait is sooo over! Happy days are here again! haha! To each his own, Anonymous! Totoo po bang walang steamed rice sa Maynila? what i mean is nung before pa nag-open ang dimsum break. anyway, parang wala masyadong tao sa dimsum break. nung pumunta ako last night, parang konti lang ang customers, hindi masyadong click? clearly not the prettiest dish in the world, but I guarantee you it tastes better than it looks! hope ya enjoy as much as I did! You really enjoyed eating in Dimsum ha. I haven't tried eating there. But, reading and looking of the pictures, there food is so yummy. I will try soon tasting their foods. Thank you for sharing this. As a flight attendant based in the middle east. Somtimes I would wake up in the middle of the night in some distant land. I would get sad, but not because I missed my family or friends. I super miss cebu dimsum. My mouth would salivate at the thought of steamed rice, lumpia, quail egg siomae, empress roll and crab pincher........ Now Im back in manila. I dont mind braving the traffic from makati all the way to QC just to eat here. ( i hate SM) But sige nalang for dimsum break. Right on the money, Jon Ray! Cebuanos know!! DA.U.DE TEA LOUNGE: A WORLD OF POSSIBILI-TEA! AND THE WINNERS OF MERRY MOO PINTS ARE..